The first, small Gaveau factory was established in Paris at 24 Amandiers Street in 1847. It was a good start, but soon after that, the workshop was moved to Vinaigriers street the same year. In 1878, production is moved to the street, Servan 47. Three years later, the factory employs 200 employees and produces 1500 instruments per year. From 1896. production took place in Fontenay-sous-Bois - a small town near Paris. 300 people worked in the local factory, producing 2,000 instruments a year. The area of 1400M2 of all 3000m2 belonging to Gaveau was a production part, while the remaining 1600m2 were occupied by residential buildings, streets and squares. The Gaveau brand is remembered with sentiment. At the time of its magnificence, it was considered one of the best producers of pianos and pianos in the world. Some Gaveau instruments are characterized by artistic appearance. Models of this brand have repeatedly won medals, awards and distinctions at prestigious international exhibitions. 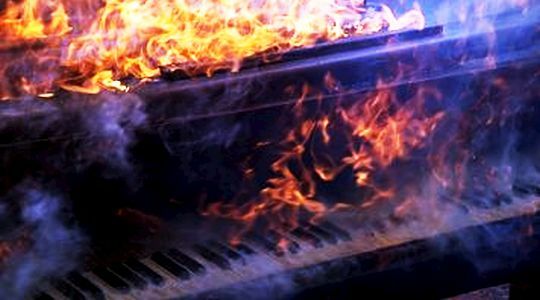 Anyone who has, or still has, the Gaveau brand instrument, speaks with sympathy about him. The logos were not only pianos and pianos, but also harpsichords. Stormy family relations as well as the situation in the state were not conducive to the company's behavior. After several changes of the owner, production was completely stopped in 1988. Why Gaveau piano price list and models? For 26 years no instrument called Gaveau has been created. You can buy it only on the market of used instruments, which are not available in abundance outside of France. Every piano or piano offer from Gaveau outside of France is a rare opportunity. Józef Gabriel Gaveau, because that is the full name of the founder, he was born in Romorantin in the department of Loir et Cher in 1824. At the age of 23, he opened a company that achieved success and permanently inscribed itself in the history of the piano market. After gaining a trade, in several Parisian workshops he started to produce his own instruments in a small factory at Amandiers n ° 24. Soon after, because in the same 1847, he moved the factory to Vinaigriers street. Initially, it is modeled on Erard models. With time, however, he creates his own technical solutions in the scope of the mechanism. In 1855. the Gaveau store is also created in Paris at Taitbout 10. 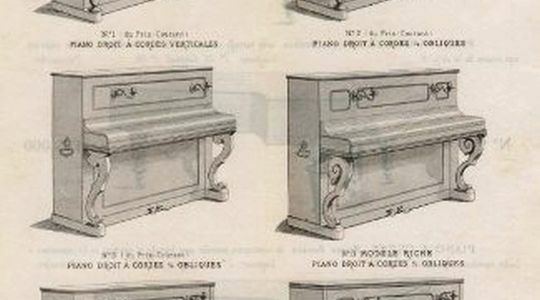 Gaveau, as the first piano brand, published its offer in the form of a brochure in 1867. The sales showroom was built at 14 Boulevard Montmartre. The Gaveau factory has won many international awards. M. in. Bronze medal (Paris - Expo 1855), silver medal (Paris - Expo 1867), gold medal at the World Exhibition in Paris - 1889. Honorary diplomas: Hanoi -1903, Liege - 1905. On similar exhibitions from 1886 to 1895, representatives of the Gaveau brand they sat on the jury 12 times. 1876. - a fire at the factory at 47 Servain Street. The firefight took two hours. Losses are estimated at 10,000 francs, fortunately the building was insured. 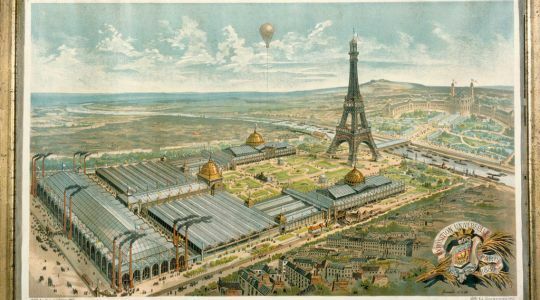 At the world exhibition Expo 1889, Gaveau wins the gold medal. The next year, the factory on Servain Street employs 200 people and produces 1500 instruments per year. At the beginning of the 20th century, the Gaveau brand is divided into three independent companies: Gaveau, Augustin Gaveau and Gabriel Gaveau. In 1960, Gaveau merges with the Erard brand to form Erard-Gaveau. Ten years later, Gaveau is bought by Pleyel. Finally, the German company Shimmel, which ceases production in 1990, gains the rights to produce and distribute all three French brands. In 1867 Gaveau publishes the oldest known advertising brochure with the offer and prices of instruments. At the World Expo in 1889, Gaveau wins the gold medal. The fire fighting at the factory on Servain Street in 1876 lasted two hours.